Whitby Town striker Mikey Roberts is heading out on loan to Guisborough Town. The Town striker, who was top-scorer last season, has endured a leaner time in front of goal this campaign and has found his time on the pitch limited after boss Chris Hardy shifted skipper Ste Snaith into a more advanced role. 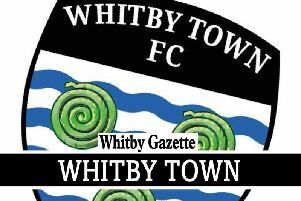 More to follow in this week's Whitby Gazette.